We love beetroot, and since its been cropping up quite cheaply at the local greengrocer’s, we thought it would be a great first vegetable of the week. Unfortunately, beetroot can sometimes be quite hard to find raw at the supermarket, and is often sold cooked and vacuum-packed, which actually makes it a great vegetable to store and eat out of season. The best place to look is farmers’ markets and greengrocers, which will stock beetroots when they are in season. 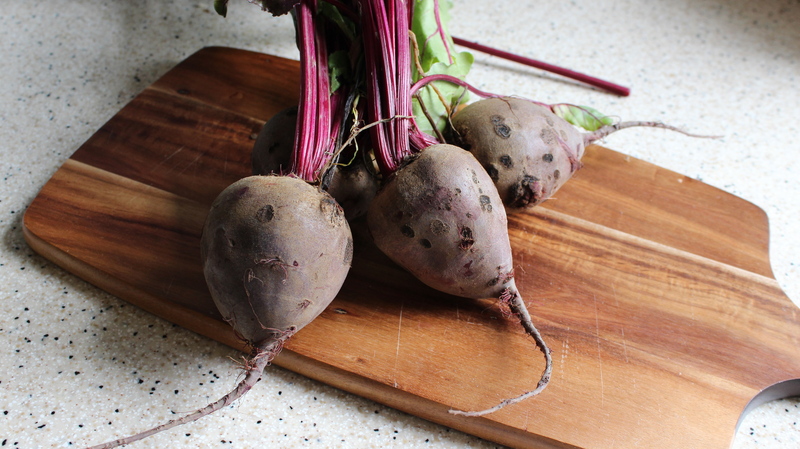 Beetroots are incredibly healthy, high in antioxidants and folic acid. Apparently, this makes them a great hangover cure, and they were even used as a natural aphrodisiac in Roman times (2). The season for beetroots starts in late July and goes until about October. 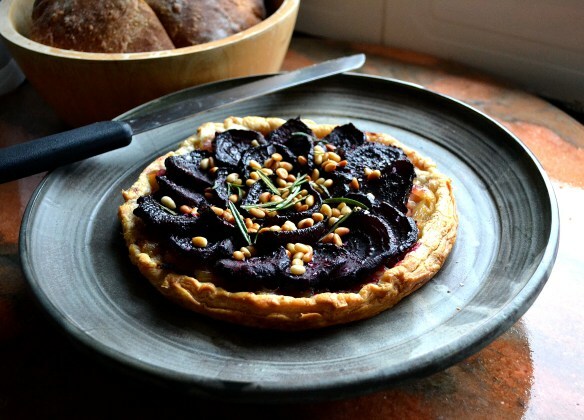 In order to embrace this delicious vegetable, we have scoured the blog-world for 4 interesting ways to prepare it, along with our very own recipes for beetroot soup, a beetroot salad and a beetroot chocolate cake.